Novak Djokovic heads into his US Open final clash with Juan Martin del Potro on Sunday knowing he faces a challenge – a very big challenge indeed. Clearly Djokovic will have to neutralize the 6’6” Argentine’s blistering serve at the Arthur Ashe Stadium: Del Potro fired 68 aces during the tournament, winning 82 percent of his first serve points. 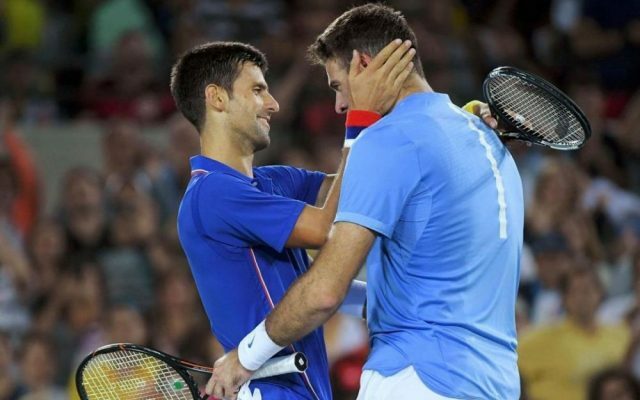 If Del Potro relies heavily on power, Djokovic, fresh from winning the Wimbledon title two months ago, is a master tactician who never gives up on a point. He may be out-hit – but he is rarely out-thought. “He’s playing so good. He will be the favorite to win on Sunday,” Del Potro said. “But I don’t know. When I played Roger (Federer) nine years ago, he was the favorite to win, as well.